I’ve read so many articles lately about how gluten-free eating is not healthy and it is a passing fad. Well, I am here to DEFEND gluten-free eating. First of all, it’s all about CHOICES! If you choose to eat a box of cookies (gluten-free or not), you will get fat! Yes, it’s true that gluten-free products are high in fat and calories and sugar, and the portion sizes are much smaller than gluten-full products. But, if you are dependent on eating processed foods before going gluten-free, than you have a much bigger problem that gluten-free eating can help. Portion control is a huge issue for many people, and gluten-free foodies need to be even more aware of it. When I first went gluten-free I did notice that I lost several pounds very quickly, probably from reduced inflammation. But, then I put the weight back on, probably from eating high fat things to satiate my need for carbs. My main food for the first year was homemade granola. It was perfect to snack on and I would eat it all day long. Problem was, it was really high in calories and fat and I didn’t measure it out, I just grabbed it by the handful. Once I figured out the portion I could eat per day, I dropped the weight and was back to where I wanted to be. My answer to the “Is eating gluten-free healthy” question, is to eat less and eat fresh and local. If you can’t do that on a gluten-full diet, than you won’t find the benefits of being gluten-free either. I was asked by a friend recently what I eat when I’m hungry now! When in doubt…eggs are a quick and easy thing to eat. I try to eat egg dishes that contain a little of each food group (proteins, vegetables, dairy, etc. ), so Quiche is a great way to get them all in one meal. Here is an easy recipe for a Crustless Ham and Roasted Red Pepper Quiche. No kidding, it took 15 minutes to prep and 30 minutes to bake. It freezes well and is great for breakfast, lunch or dinner. Preheat oven to 375 degrees F. Cook shallots in olive oil until tender add cooked ham/bacon and parsley. Remove from heat, cool slightly. Spray a 9-inch glass or ceramic pie pan with butter flavored cooking spray and sprinkle evenly with the grated Parmesan and shallots. Scatter half the Gruyère into the pan and crumble the bacon/ham mixture on top of cheese. Whisk the half-and-half, eggs and yolks in large glass measuring cup. Season with salt, pepper, and nutmeg to taste. Pour the custard over the fillings. Top with remaining slices of red pepper and remaining cheese. Bake until the Quiche is just set in the center, about 30-35 minutes. Cool completely on a rack before serving. Can be made in cupcake pan and cooked for 15-20 minutes or until set. To roast pepper, remove stem and seeds. Cover outside skin with vegetable oil. Sear over open flame of gas stove or grill. Allow the outside to char, but not catch on fire. Turn frequently. Put charred pepper in a brown paper bag and allow to steam. Remove skin, slice and store in dish with olive oil. 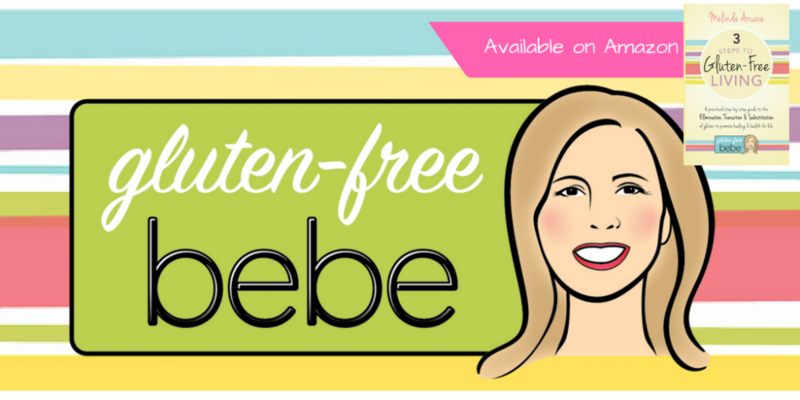 This entry was posted in Fresh and Local, Recipes and Food by Gluten-Free Bebe. Bookmark the permalink. Great article Bebe. Love the visuals too!